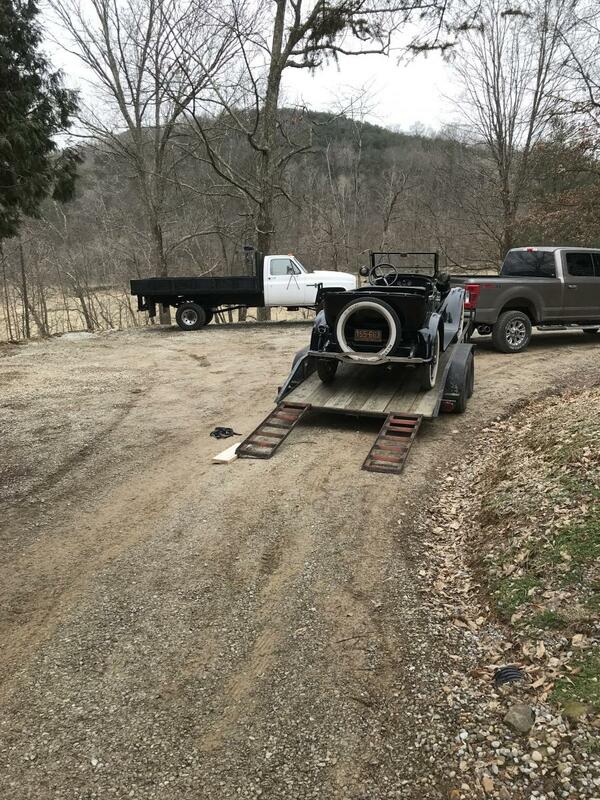 New to me 1924 DB, going to need a little help! Hi folks, new here and new to DB’s. I lucked out and traded a square body Chevy truck up to this beauty on Saturday. 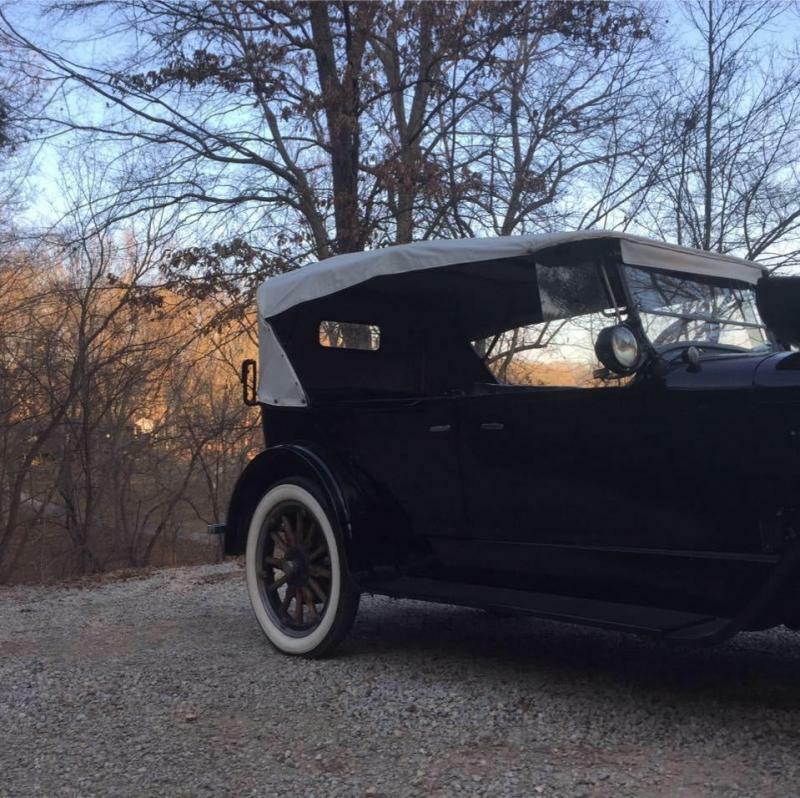 It’s a 1924 DB sedan as far as I am aware. 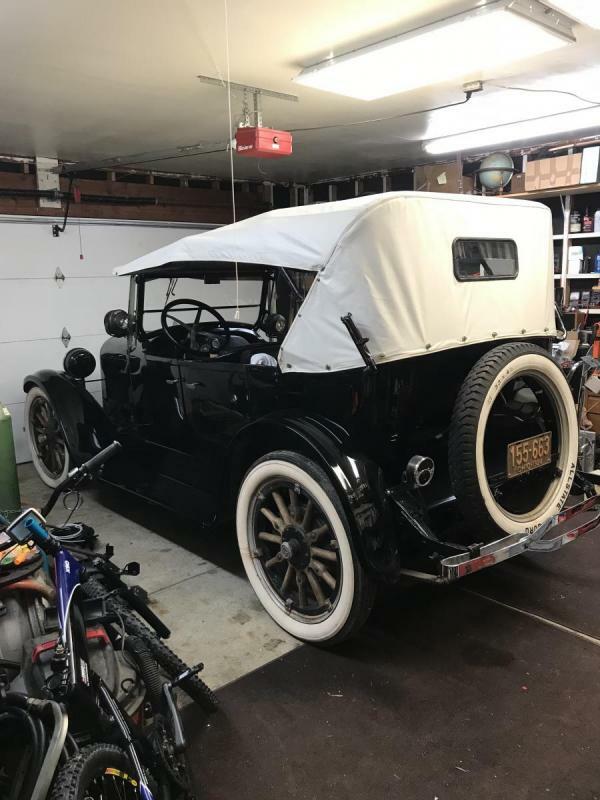 It runs and drives but needs some TLC as you may expect of a 95 year old car. 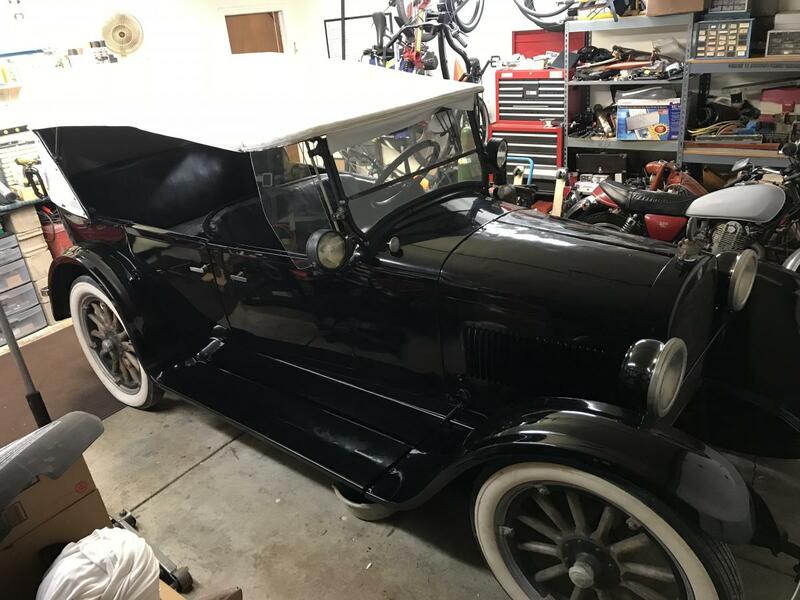 There are also a few non-original modifications like the additional of an ignition coil, repaint, and the replacement rag top. Thankfully the car came with a book of information, a mechanics manual, and several other good pieces of literature I have not even begun to thumb through. So do forgive my initial ignorance, it will get better with time. The previous owner told me that the starter generator lets out a puff of smoke when engaged. I plan to replace the unit after verifying the original wiring is still in tact. I think it needs a GE type G or GA based on my reading. Obviously I am going to check what I have going on under the hood and reference the literature before I start throwing money at the problem. The second thing I believe needs addressing is the water pump leaks out of/around the rearward nut. It is a bigger leak than I would be comfortable with for semi local drives to car shows. The previous owner suggested that the pump needs resealed but my knowledge about this car is incomplete to the point that I am not currently able to diagnose the specific issue. Again, I have lots of reading ahead of me! Regardless, this car is the fulfillment of a childhood dream and I am beyond excited to tackle these issues and take my boy out for a drive in it! 1) Do any major parts resources exist for these cars? 2) What literature would be most beneficial for learning everything I need to know to maintain this beauty? Welcome and a VERY nice car! It's not a sedan, it is a touring car. Water pump leak is nothing unusual, they pretty much all leak. They have packing glands that need tightened now and then and once in a while they need the packing replaced. Myers or Romars has that. All the packing nuts turn the same direction the shaft turns which makes half of them left hand thread and the others right. Unscrew the pack nut, if tightening doesn't help at all, then take a pic or tiny screwdriver and slide the gland back. Clean out the old packing, inspect the shaft to see if badly worn and if okay, replace the packing, push the gland in some and start the pack nut. Sometimes you need to do this twice to get a double packing in there. Don't over tighten the pack nuts, just snug. There are special wrenches to aid in this as well. Replacement shafts are also available. Welcome to the wonderful world of DB's! Wow, way to go on your trade, nice car. Your top saddles are upside down, no big deal. Just loosen them and flip them over, MIGHT be on the wrong side too?? 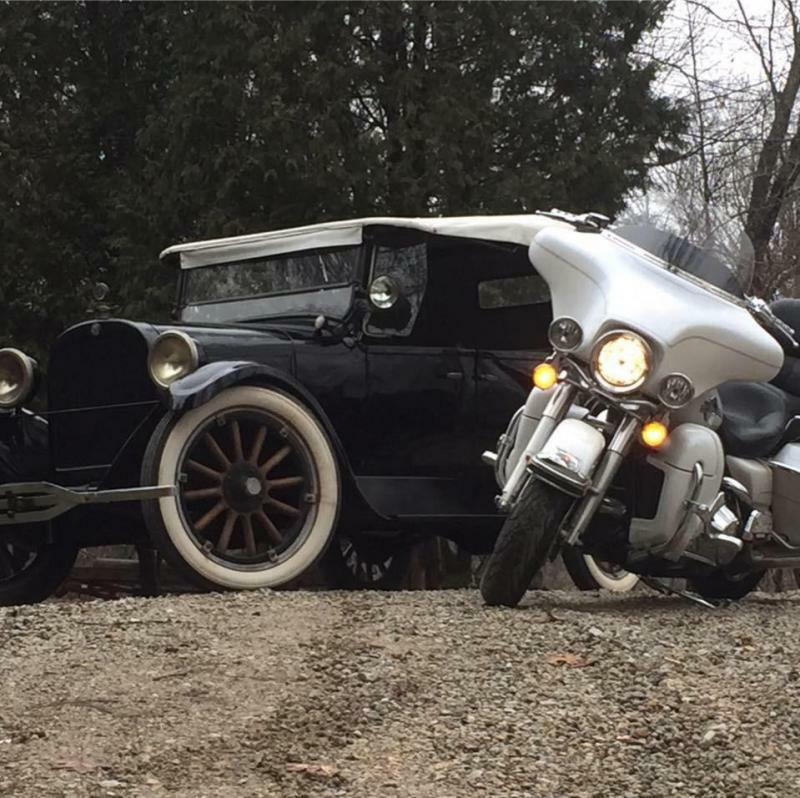 Join the Dodge Brothers Club and when you get the roster look up the region in Ohio and join that too. They get together several times a year and several of them can help you with questions, maybe even hands on. 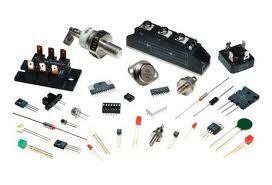 And yes, you can buy most any part you will ever need for your DB. Getting it driving and have fun. Jeepers Dave, what's with all the Ferds in your list?? Very nice looking car. Good trade! Thanks for the warm welcome! Now that the weather is nice I'm aching to get this car out on the road. Looks like I need a 12V model G starter generator. Previous owner said the packing needs replaced and I believe him. He did a lot of good work on this car. Another thing the PO did that I am endlessly thankful for was showing me a very exact procedure to start the car with the hand crank. Started right up after one single crankshaft rotation yesterday! I did run it two or three days prior but that is impressive nonetheless. Will I need to purchase the special wrenches to replace or service the packing? Even if I don't need them, is it advisable to use them for the job? If so, where would I find them? Myers or Romars too? Thanks! It looks like Myers does an exchange, I'm not sure about Romars yet. Sending emails out to inquire now. Does anyone simply sell them outright? I'd like to rebuild mine after it's off the car. After maybe replacing the packing, get a small, cheap grease gun and a Zerk-to-Alemite adapter. Fill the grease gun with old-fashioned, wax-like, high-temp water pump grease (available from antique car suppliers). Loosen up the gland nuts a bit to make sure you get plenty of grease in there. Then shoot the gland nut area full of the special water pump grease through its Alemite fittings, until grease starts coming out around the shaft, before snugging up the gland nuts. Wipe off the excess grease and run the motor a bit before checking to make sure the gland nuts are still snug (the packing will compress). That should stop most leaks. If the leaking is reduced but still dripping, shoot more lube into the gland nuts, this time without loosening them first. Get a small, cheap grease gun and a Zerk-to-Alemite adapter. Fill the grease gun with old-fashioned, wax-like, high-temp water pump grease (available from antique car suppliers). Shoot the water pump shaft gland nut area full of the special water pump grease through its Alemite fittings before snugging up the gland nuts. That should stop most leaks. I appreciate the advice! I’ll give that a shot. Also found a response by Mr Rodger Hartley from over a decade ago about replacing the broken fuse clip on my starter generator and the news is not good! I’ll be giving him a call soon as several folks have suggested he’s the way to go. The same thing happened to mine. I happened to have an old double fuse holder so I removed the clips and soldered them to the fuse holder on the generator. I was actually wondering if it were possible to do just that. Glad to hear it worked for you! I'll give it a go later on today. Edit: Found a book called Electricity and its Application to Automotive Vehicles by Paul McDowell Stone from 1923 on google. 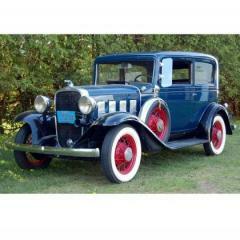 It features good information on the theory of operation, adjustment, diagrams, and troubleshooting of the Dodge Bros ignition and type G starter generators. Probably repacking the water pumps seals is the best short term solution and you don't need to remove the pump to do this. When the driving season ends and you pull the pump off, it's a good bet that the shaft will need replacement. Somewhere along the line of ownership some one probably over-tightened the gland nuts which ends up with grooves worn into the shafts from the packing. New shafts are readily available but it isn't a job you want to rush (a good winter project). I'll bet Myers could dig up a good replacement fuse clip for you. MikeC5, that sounds like a wise course of action. I’d ballpark that it was leaking at least 1/2 gallon per hour. Is that considered excessive for these cars? Fiddlerbill, I sent you a PM. As for the DB, I think it’s time to live dangerously and test my starter. Problem is that I don’t know what size fuse to put in there! All I know is that it’s 10 amps and none of the fuses I have will fit. Yea I would say that's a pretty excessive leak. Replacement packing material is cheap and well worth a try. When I rebuilt my water pump, I installed oil seals that fit and have no leakage now. I can dig up the part number for them and you can order them on-line from many places. But you have to take the pump apart to install them and will most likely put a new shaft in at the same time. I don't know what type of fuse they're called but I do know that they were used up into the 60's, at least (I had a '67 Mustang that used the type). Someone on the forum should know what to ask for and I would think a well stocked auto parts store with people behind the counter who actually know their business should be able to supply them (I would try Napa).